The final bits of insulation and plasterboard that can be put up before the windows come are up. Gibby was doing a solo stint for quite a while today, it was very quiet up there. I’m not posting any pictures of upstairs today, I’m going to just show you some bits and bobs instead. It was getting really drafty in the hall and the bedrooms with the stairs in place but no windows upstairs. 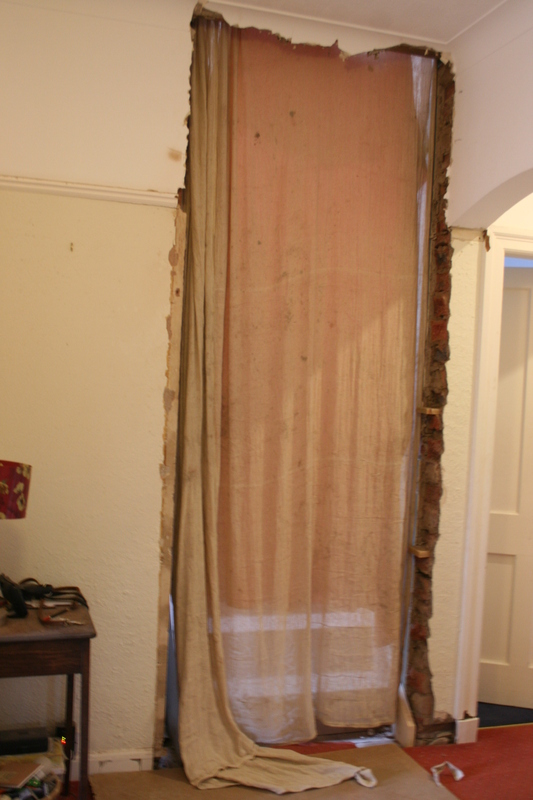 This is a curtain to another world at the moment, and it keeps the heat in downstairs a bit too. Amazing what you can do with a dust sheet and my grandma’s old pink woollen blanket. I’m hoping we won’t really need it for much longer. The kids call it the magic curtain, I like that. 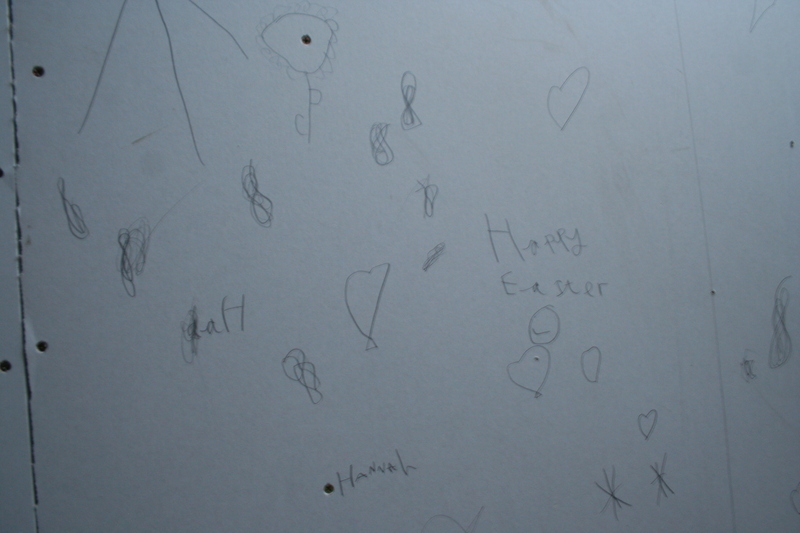 There has been a wee magic fairy leaving messages on the plasterboard too, just such a magical place beyond the curtain indeed. 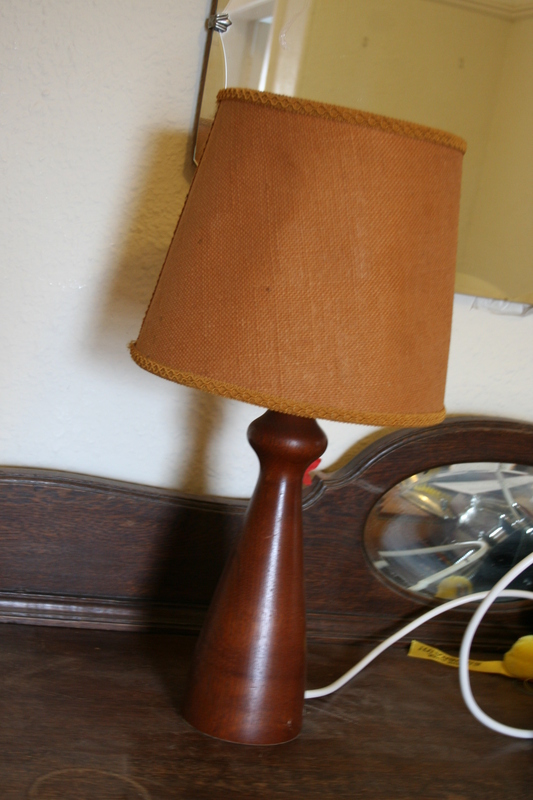 This old table lamp is one of those things that has always been around and I’m not even sure if I like it or it is so familiar that I can’t dislike it. The wire was fabulous, it was two twisted thread covered cords; nice to look at but probably not very safe. I’ve had it made safe with a boring old white wire but at least it’s not a fire hazard now. I think I will look out for a more colourful shade or at least a neutral one, it’s not so brown when it’s lit so I’ll take my time to find the right one. My mind has started to seriously wonder to the day when we consider decor. In fact it has been wondering there for a long, long time since we knew we were moving here. 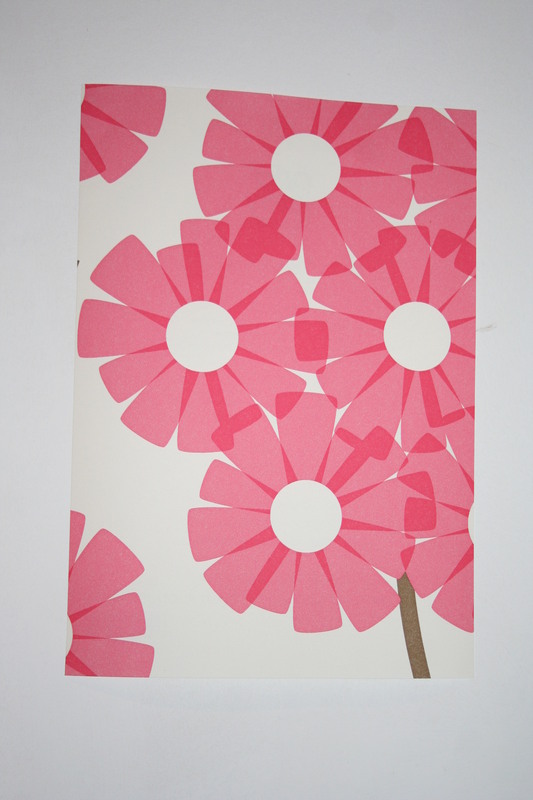 I ordered lots of wallpaper samples at the weekend, this one is just right, not sure where it will go but I’m determined to use it somewhere. No prizes for guessing who designed it. 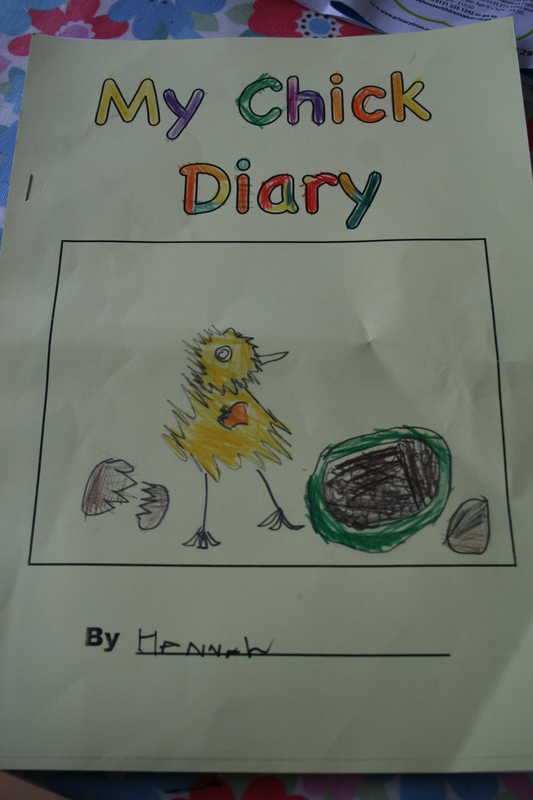 H came home with this today, it’s definitely a ‘keep’. So lovely that she has had the chicks in her classroom. Her jaggy chick is brilliant isn’t it. Not biased me. ……told you it would be bits and bobs today…. 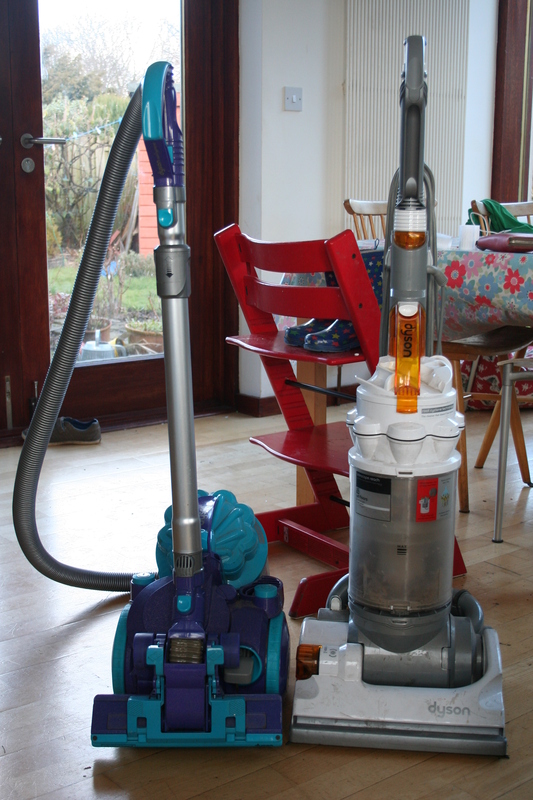 This last photo is to tell you that I had the Dyson man round today and I am so thrilled to report that these two beauties actually work now so my Friday dust eradication ritual will be quicker and more effective tomorrow. The big one’s clutch had gone (eh?) and was making the loudest most horrendous noise when you had it on. Now it is back to its former glory, now all they need is cleaned externally from all the dust.